Iceland, also known as the Republic of Iceland is a Nordic island country located between the North Atlantic and the Arctic Ocean. It has a land area of 103,000 km2 with a population of 329,000 residents making it the most sparsely populated country in Europe. Iceland’s capital and largest city is Reykjavik with approximately 122,000 residents. Casino table games and poker are completely banned. Therefore, there aren’t any brick-and-mortar casinos operating in the country at the moment. * However, it is possible to operate a gambling business if the profits go to charity or other philanthropic causes**. Online gambling is considered illegal as well, but players are not prosecuted for playing at an offshore online casino. More on this in the casino gambling in Iceland section below. Casino gambling is illegal in Iceland. Those who operate an illegal casino will face punishment. However, not all forms of gambling are illegal as players can play lottery type games, bingo and are allowed to bet on sports. Online casino gambling is regulated the same way as well. However, foreign online gambling websites, which are registered in a foreign country outside the EU and have a gambling license from that country are outside of the jurisdiction of Iceland. In many countries offshore online casinos are blocked or are forced to acquire a local license. This is not the case in Iceland currently. Such websites are freely accessible and players playing in such online casinos are not prosecuted. Bingo is a very popular game amongst players around the world, especially women. Bingo is popular in Iceland too as it is one of the few forms of gambling allowed in the country. Players from Iceland can enjoy this fun game online or offline. Bingo organised by Icelandic companies or individuals must be non-profit and the proceeds must be donated to charity. Foreign online bingo sites are not blocked and players can play online at websites, which accepts players from the country. Poker is quite possibly the most popular casino game ever created. It’s a competitive, fast paced card game that focuses on strategy, planning and competition. Many would argue that poker is more about skill than luck, because there is no house edge. And in fact, in a handful of countries poker is considered a sport not a game of chance. Unfortunately, this is not the case in Iceland. Poker is one of those forms of gambling which are illegal in Iceland (even for charity). However, foreign online poker sites are not blocked and online players are not prosecuted. Sports betting is one of the most common and popular forms of gambling out there. It is most popular form of gambling among men worldwide. In Iceland it is one of the few legal forms of gambling (along with the lotteries and bingo, only for charity). In fact, it is actually legal since 1952. However, due to the fact, that this is entirely non-profit, it hasn’t developed into an industry. Therefore, in Iceland there are actually no brick & mortar bookmakers. However, online bookmakers registered in foreign countries are not blocked and can freely accept players from Iceland. Arguably, the lottery is the most common form of gambling around the world, It is safe to say that where gambling is legal or semi-legal there is a national lottery. While most of the popular casino games are banned in Iceland like poker, roulette and blackjack, the lottery is still legal (non-profit only). The country’s official lottery is the Lottó, but players from Iceland can enjoy many more kinds of lotteries online and through the Icelandic lottery company (e.g. : the Euro Jackpot, Viking Lotto). Lottó is a non-profit organization. However, people can buy Euro Jackpot lottery tickets (a for-profit EU lottery) and Viking Lotto (Scandinavian for profit lottery) through the Icelandic company. This is, in theory, no longer a non-profit gambling activity. Exactly how the Icelandic lottery manages to remain not-for-profit and yet offer the lottery tickets of for profit lotteries in a partnership is not clear. Lottery tickets can be sold online in Iceland. Foreign lottery websites and lottery agents are also available. Some countries consider Bitcoin an asset rather than a currency (like Norway or Lithuania). 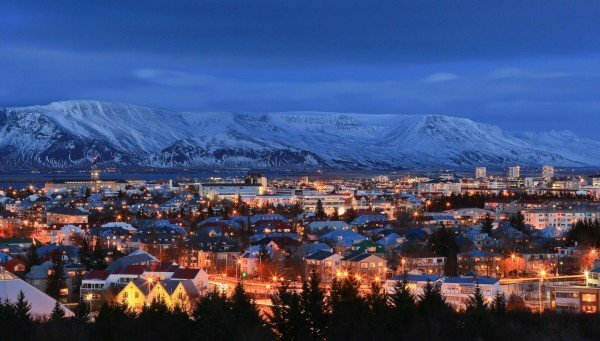 In Iceland, trading with Bitcoin is illegal due to the Icelandic Foreign Exchange Act. * Therefore, it is safe to assume, that Bitcoin gambling is illegal as well. There is no information whether players are prosecuted for playing at an offshore online casino using Bitcoin, but at least one online casino, which accepts Bitcoins and also accepts players from Iceland. You can find this online casino below, but just to be on the safe side, we suggest, that you should refrain from placing bets online using Bitcoins from Iceland. Use one of the regular online casinos above. This page is part of Simon’s List – Legal Status of Online Gambling – a definitive guide to the legal status of all forms of online gambling in every country around the world. 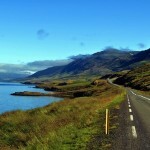 An overview of gambling's legal status in Iceland.